Wicklow manager John Evans. ©INPHO/Oisin Keniry. Defeating NFL 4 promotion favourites Derry will be a huge challenge for Wicklow, but their manager John Evans is confident his players will be up for the test. Four points out of a possible six have given Wicklow a decent start to the league campaign as they head into this weekend’s break. 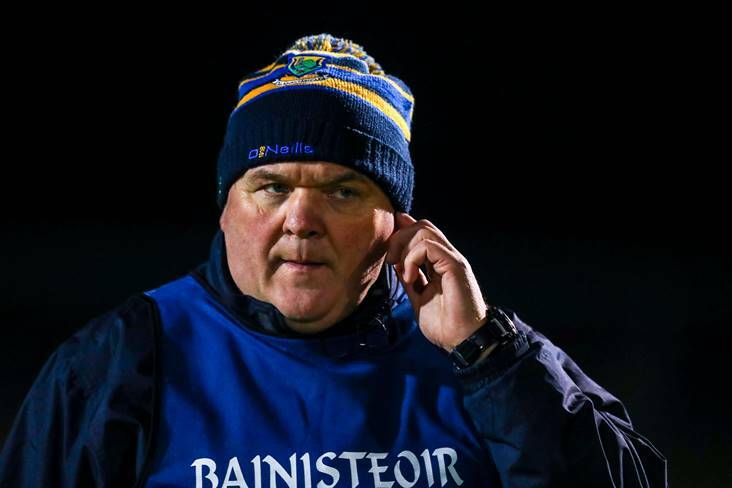 The focus has turned to their clash against Derry on Sunday week and Evans told the Wicklow People that they must go into the game in a positive frame of mind. “Derry are down in Division 4, although they themselves know they are not a Division 4 team. They are favourites for promotion so it will be a difficult game,” said Evans. “It will be a huge challenge for us, of that there is no doubt, but we will give it our best shot. What I will be looking for is a huge team effort, with the side bringing consistency to their game. If I get a big game out of the side I will be satisfied.